The Growth Project is a mellow, zen-like game about encouraging flora (and occasionally fauna) to flourish in fabulous fashion. 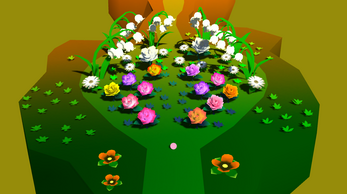 To grow things at such a rapid rate, we employ the use of a vibrant, funky, gradient-laden ball which can grow things either hidden underground or further the development of flora/fauna already exposed or struggling to stay alive. When all potential growth on a given piece of land gets to its peak, a path to another grow-able island will appear for the player to access. This process repeats until the final island in a given level set (roughly ~10 islands) has achieved complete growth. 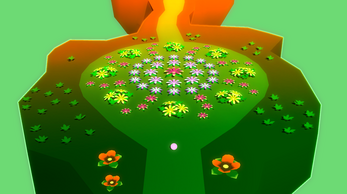 Despite each island vaguely resembling a golf course, The Growth Project doesn't penalize nor limit the number of balls a player may use to grow a given island. Instead, the game rewards players by cranking up a score multiplier every time the ball ricochets off of a wall or new object. 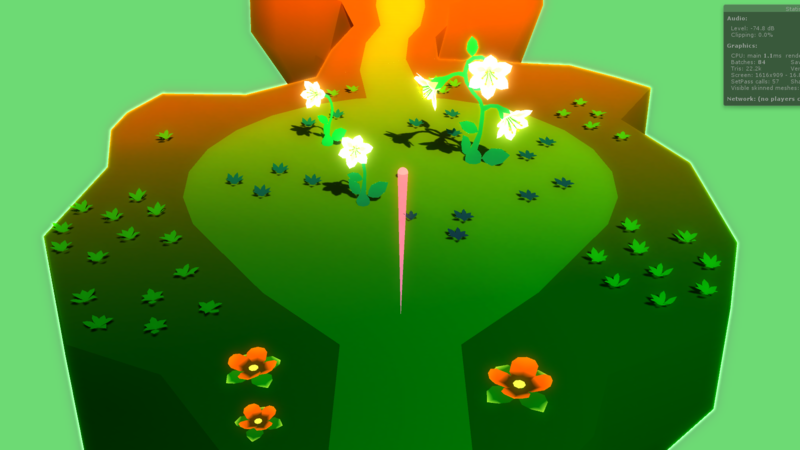 This multiplier will affect the base number of points rewarded for each object you grow in a given shot. The more bounces you get before growing something, the more points you'll squeeze out of it. This is what The Growth Project qualifies as "skillful play". Treat yourself to a chill stroll through the floating island-gardens of The Growth Project. But if the Grandma you introduce this to decides to brag about beating your highscore, don't say we didn't warn ya. Controls: Left-click, drag-and-release to launch the ball. Right-click: early ball recall.